Stop fraudulent domestic and international wire transfers in real time to more effectively prevent fraud loss. The potential dollar value and international nature of many wire transfers make them inherently risky. Additionally, consumer-based fraud scams are claiming an increasing number of victims, causing customers to suffer devastating losses. With the increase in criminal schemes such as Business Email Compromise, institutions need enhanced monitoring to prevent serious loss. Verafin gives investigators the ability to review potentially suspicious wires in real time, alerting you to unusual wire transfers before they are released. Get alerted when it appears your customer is being victimized by a known fraud scam — such as Business Email Compromise (BEC) — before the funds are transferred. Verafin’s cross-institutional analytics can increase confidence that a wire payee has an established history and is not associated with past fraudulent activity. This powerful evidence helps minimize risk while reducing false alerts and helps investigators focus on truly fraudulent activity. Analyzing a potentially fraudulent wire transfer once it is gone is often too late. Verafin integrates with numerous inline wire transfer solutions to alert you to unusual wires before they are released. Get all wire details in one location, and quickly interpret the information with historical transfer graphs, interactive flow of funds diagrams and visual transaction overviews that include sender, value, payee, and receiving institution data. Prevent serious loss by reviewing potentially suspicious wires before they are released. Verafin alerts you to activity that is unusual for your customers — in real time. Verafin’s evidence-based alerts use a wide range of factors to not only alert you to potentially suspicious activity but also to reduce false alerts. Analyzing for potential escrow accounts and established payees are just two ways Verafin avoids alerting you to activity that is not fraudulent. Significantly reduce time spent on customer call backs to verify transactions. In addition to demographic and transactional factors, Verafin utilizes the power of the Verafin Cloud, analyzing wire payments made by customers at financial institutions across its cloud environment to determine the validity of a receiving account. 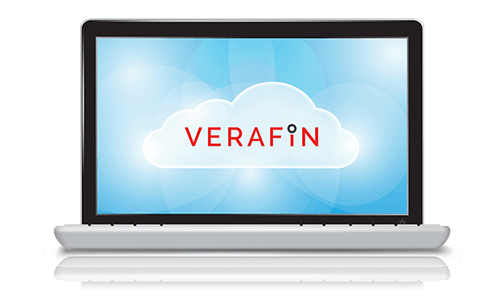 Interested in learning more about Verafin's Wire Fraud Solution?